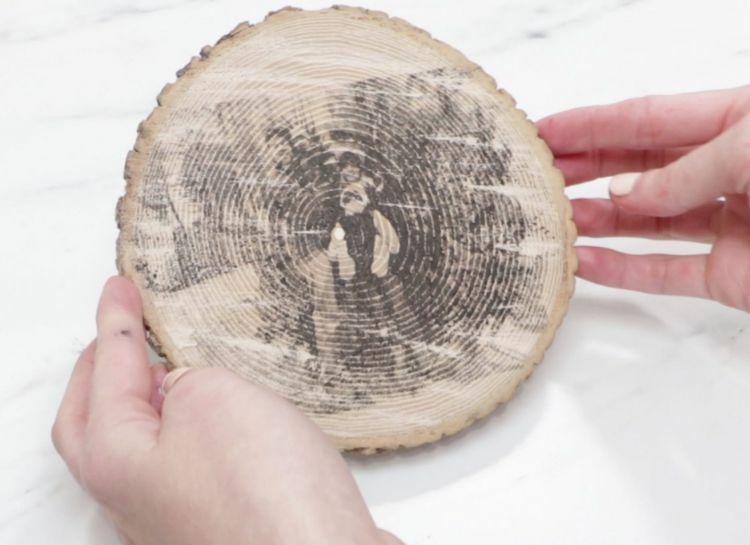 Transfer photos onto a wood slice. It's like magic! 1. 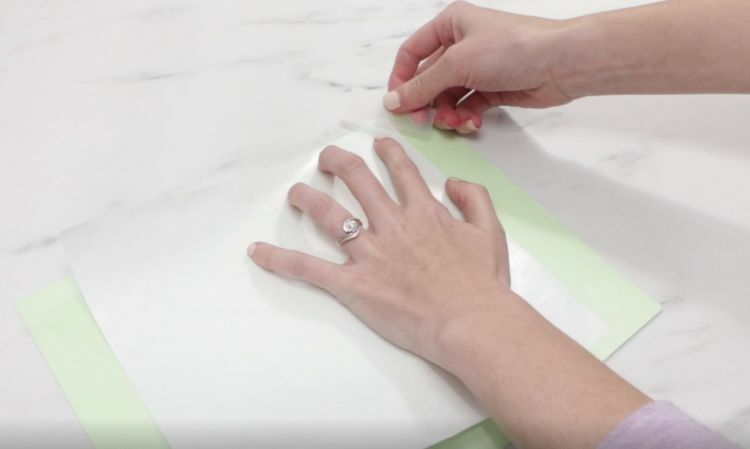 Cut out freezer paper to desired size. 2. 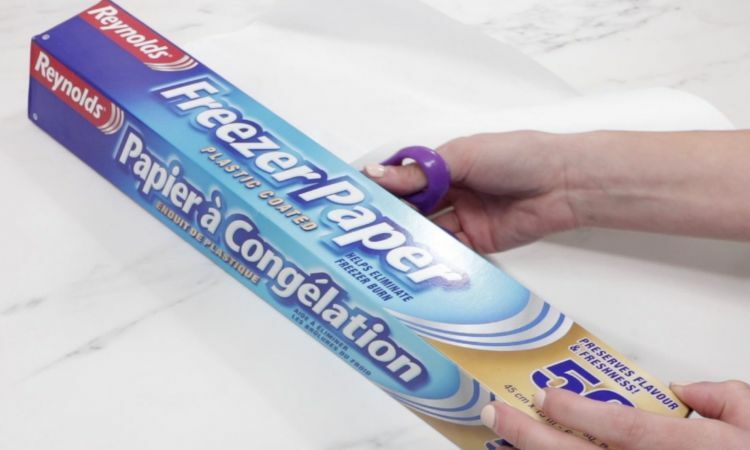 Tape freezer paper onto piece of standard letter paper (for your printer). Secure with tape. 4. 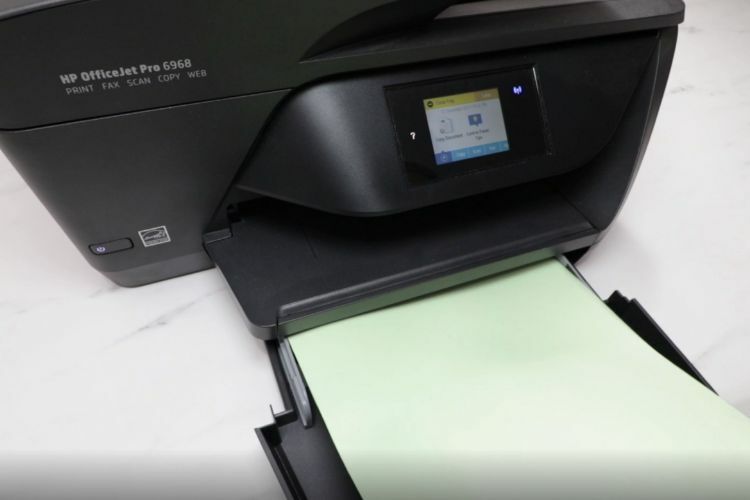 Place into printer tray with freezer printer down (so photo will print on it). 5. 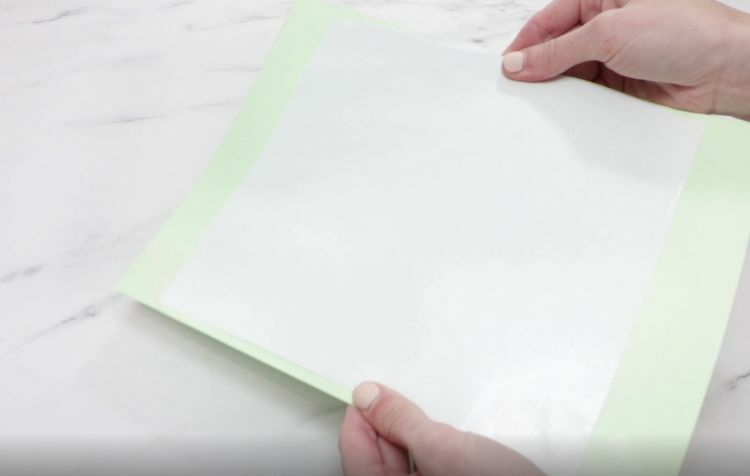 Once printed, remove the standard paper and tape. 6. 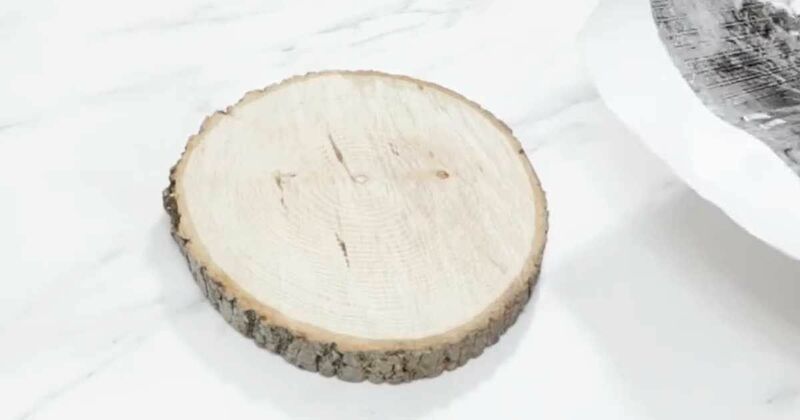 Flip freezer paper onto wood slice. 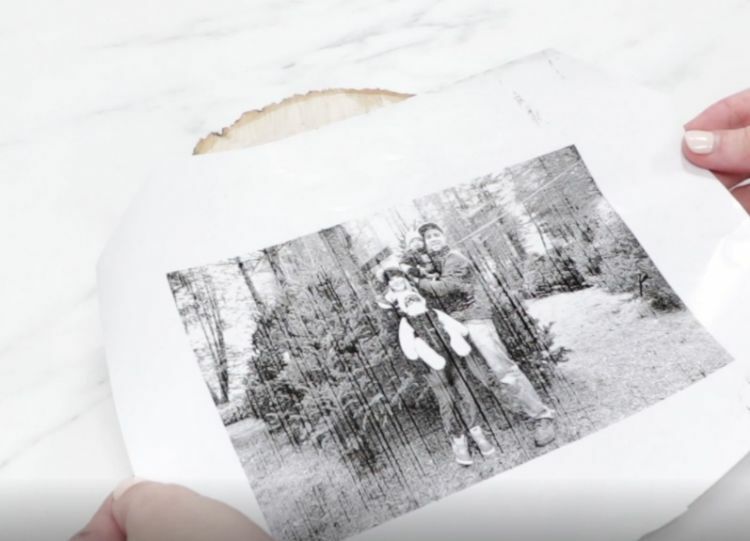 Press down firmly to transfer the photo. 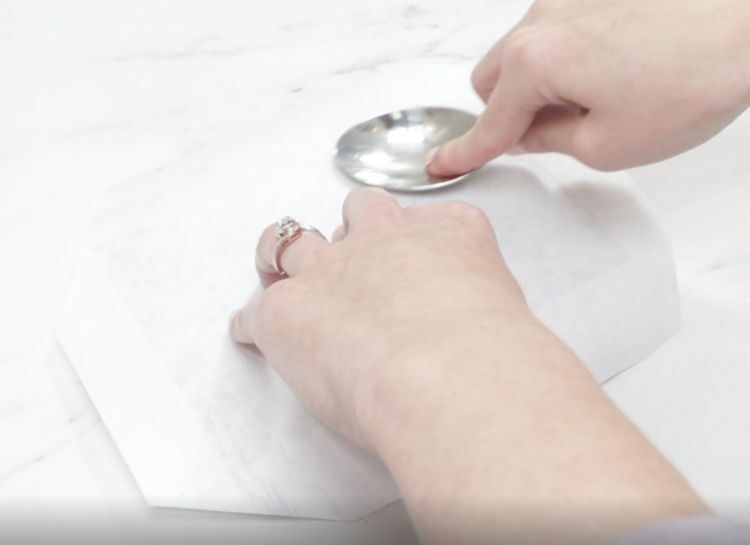 Use a spoon for additional pressure. 7. Photo is then transferred! 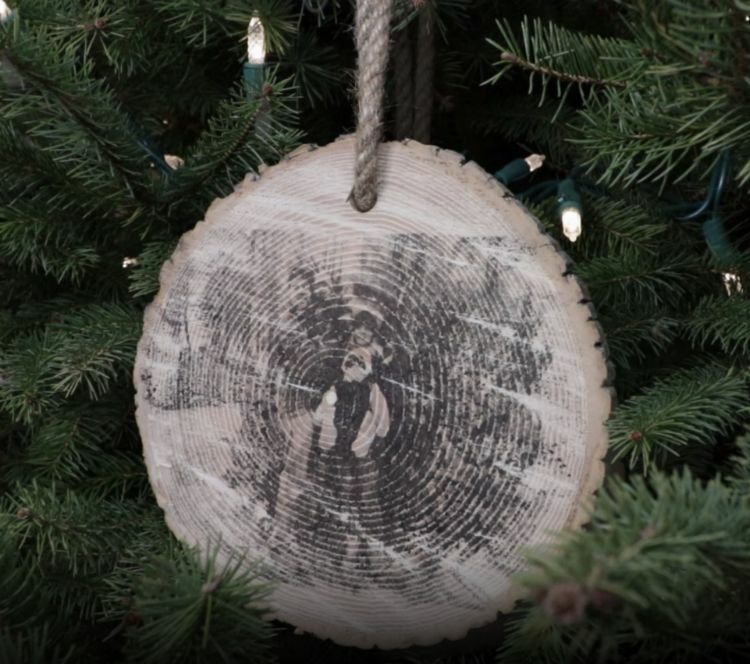 Drill a hole, and add twine to turn into an ornament.